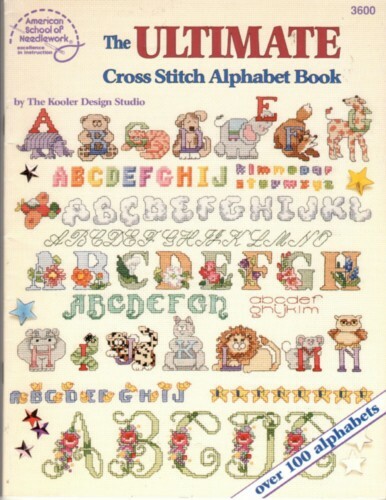 American School of Needlework Cross Stitch The Ultimate Cross Stitch Alphabet Book Counted Cross Stitch Pattern booklet. The Kooler Design Studio. Over 100 Alphabets. Out of print. Appears new. Slight yellowing in margins of some pages. Does not affect charts.